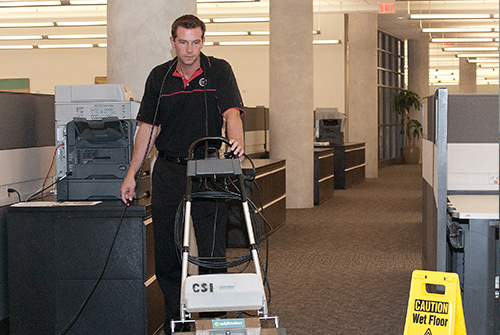 Custodial Services Miami | CSI International, Inc.
CSI deploys several traditional validation tools to ensure that we are consistently delivering the Custodial Services promised with uncompromising quality. Our staff is our most valuable asset and everyone in the CSI family is entitled to a safe and healthful workplace. Employee safety is among the top priorites of our company and it is a CSI intention to maintain a clean, safe and healthy working environment for all employees. CSI adheres to all safety and health requirements that are enforced by local, state and federal agencies. 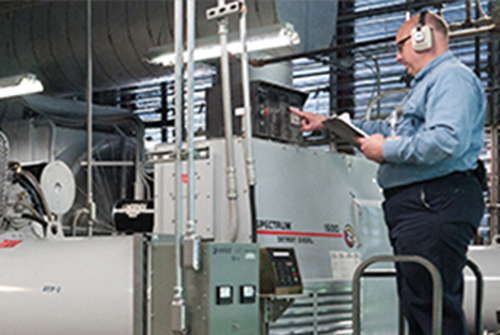 CSI provides safety procedures, managerial commands, personal safety gear and instruction to abate and reduce exposure to hazards and prevent injury and illness. We have developed, and will continually redo, policies, rules, and procedures, which will contribute to the safety of everyone around. Creation and maintenance of a safe environment is a shared responsibility of management and staff at all levels of the organization. To this end, all reasonable efforts should be made to achieve the objective of accident prevention and health preservation. Our thinking is to control and minimize, to the greatest extent possible, any risk associated in the undertaking of our Custodial Services. CSI has the responsibility to: Fully and completely support the Safety Program, Perpetuate a working environment that is safe and healthy for the employees, Obey occupational safety and health standards, rules, regulations and orders, Perpetuate a successful accident prevention plan. CSI expects all staff members to work in a manner of good safe practices as posted, trained, and reviewed. Management require that employees observe and obey every rule, regulation and order needed for the safe performance of their job, and shall take such action necessary to secure compliance. Staff will subscribe to CSI’s safety program by obeying all safety rules, advising management of unsafe conditions and bringing up possible ways to improve the CSI Safety Program. There is no job so crucial—nor any service so urgent—that staff cannot take the time to work safely. CSI's environmentally accountable products paired with our "green" efforts are maintaining the environment'& #39; s health and yours. CSI Green utilizes only eco-responsible items, including low allergenic, non-toxic and eco-friendly cleaning agents, HEPA ® micro-filtered vacuum and microfiber cloths and mops. Cleaning "green" helps in reducing direct exposure to possibly harmful chemicals that can endanger the health and wellness of structure residents, visitors and the cleaning personnels plus minimizing the negative effect on the environment. Advantages to Green Cleaning: Improve Indoor Air Quality, Ensure Healthier Facilities for all Building Residents, Boost Employee Performance, Improve Spirits, Reduce Sick days and Associated Healthcare Costs, Minimize Water and Air Pollution, Reduce Waste with Concentrated Cleansing Products, Reduce Package Waste with Recyclable Product packaging. LEED is a product of the U.S. Green Structure Council: It is identified with USGBC and supports and advances the Council's objective, it is consistent with the governing principles, goals goals and processes of the Council, and it continually amasses input from USGBC membership and outdoors professionals whose participation represents a diverse and broad coalition of structure market stakeholders. Management in Energy and Environmental Design-- LEED: Is the most comprehensive, reliable and well recognized accreditation requirement that differentiates green structures by style, building and construction and operation from the remainder of the market, is a style standard to move structure construction and operation towards sustainability, Is an integrated green structure style training program. Utilization of micro fiber mops and cleaning clothing where suitable, Motivating customers to utilize just "Green Sealed" consumables products, Administer facility recycling programs, Set up and use washer and clothes dryer facilities to wash micro fiber mops and clothes where applicable, Circulation of our study cards to collect resident feedback so that we can evaluate and improve our procedures and treatments, All order supplying is done digitally, Transitioned to online paperless payroll system to ... recycle, online applications background checks-- HR, group cleansing digitally conserving where facilities approval where possible. CSI can assist you reach LEED Accreditation by executing the following green cleansing credits: Custodial Efficiency Assessment: EQc3.2 = Possible 1 point, Purchase of Sustainable Cleaning Products and Materials: EQc3.3 = Possible 1 point, Sustainable Cleaning Equipment: EQc3.4 = Possible 1 point, Indoor Chemical and Contaminant Source Control: EQc3.5 = Possible 1 point.